It was October 1976 when Jim and Dawn Fazio made their first gift of $25 to the University of Idaho. Jim was a relatively new assistant professor in the College of Natural Resources (CNR) at the University of Idaho. Dawn was pursuing a teaching certificate to complement her Master’s degree and interest in environmental education. They had just purchased a home, were excited to explore and take advantage of the outdoor opportunities in the northwest, and recognized that Moscow was a great place to raise kids. 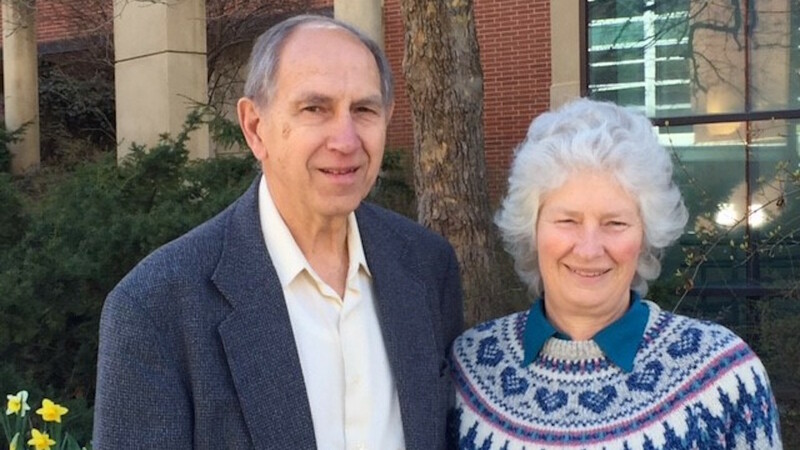 Now, almost 41 years (and 35 years of cumulative giving) later, Jim and Dawn continue their loyal support of the U of I, Vandal students, and Idaho education. Jim is now a professor emeritus in the College of Natural Resources and freelance writer for Arbor Day Foundation. Dawn is a local business owner and long-time chair of the Moscow school district’s Board of Trustees. Why do they give? “A person ought to be supportive of the institution that supported him and so many students over the years. Education is the foundation of a strong nation. A good education provides many good things,” Jim says. “But it’s also important to get a good education while keeping borrowing at an absolute minimum.” This sentiment motivates them to continue to champion a wide variety of university initiatives that support the student experience and defray cost—from the Douglas L. Gilbert Scholarship that supports conservation communication, to the Library Dean’s Excellence Renovation Fund that resulted in a group study room dedication in their name. They have also made an additional gift in their will to the Gilbert Scholarship, which makes them members of the Heritage Society. “Jim and Dawn have contributed to bettering the lives of so many students and faculty in their 43-year association with the U of I,” says Nick Sanyal, colleague and professor in CNR. The University of Idaho is proud to honor their dedication and 35 years of cumulative giving through the Loyal Donor Program.